The result is felt immediately . I usually recommend 3 sessions to fully assess and begin corrections so you know that healing and mending is possible. Recommended YBR® routines are taught for self care. The goal is always to make you independent. Sessions are one hour. completely unique is the way the Yamuna balls are used on the massage table. Think 2 hands feels great? Since the ball is on one side of the body and hands are on the other it actually feels like 4 hands! Gentle traction is used. ​You are fully clothed ( stretchy clothes please as we try to get as much range of motion as possible) Truly great for anyone experiencing shoulder issues Sessions are one hour. It can also reduce painful foot conditions such as hammer toes, bunions, neuromas, and plantar fascitis with powerful and energizing routines. ​ Sessions are one hour. Are you new to yoga or have you been practicing for years but are not able to move forward , advancing your practice because you feel stuck in a pose or two? This process is aided by the Yamuna body balls, allowing you to go deeper, hold poses longer, remove your restrictions because you are aligning your body while letting your body sink into the balls. ​ Sessions are one hour. The Tarot is a deck of 78 cards, each with its own imagery, symbolism and story. There are 22 cards called Major Arcana which represent life’s karmic and spiritual lessons, and 56 cards called Minor Arcana which reflect the trials and tribulations that we experience on a daily basis. Within the Minor Arcana cards, there are 16 Court Cards representing 16 different personality characteristics we may choose to express at any given time. Within the Minor Arcana , there are 40 numbered cards organised into 4 Suits, with 10 cards each, representing various situations that we encounter day-to-day. Tarot connects you to deep inner wisdom , helping to guide you in making difficult life decisions . Everyone feels the need for guidance at some point in their lives. its a tool to help manifest goals, self- development and making choices. Want to know about your career , a relationship or have some other question? I incorporate a little astrology, hermetic Kabbalah tree of Life, elements such as fire,water,air and earth and Lenormand into each session. Book a reading and find out! The best part? I offer readings remotely! Either a written reading by email or video conference are options for you. ** Please note that while all readings are strictly confidential, email may not always be secure. 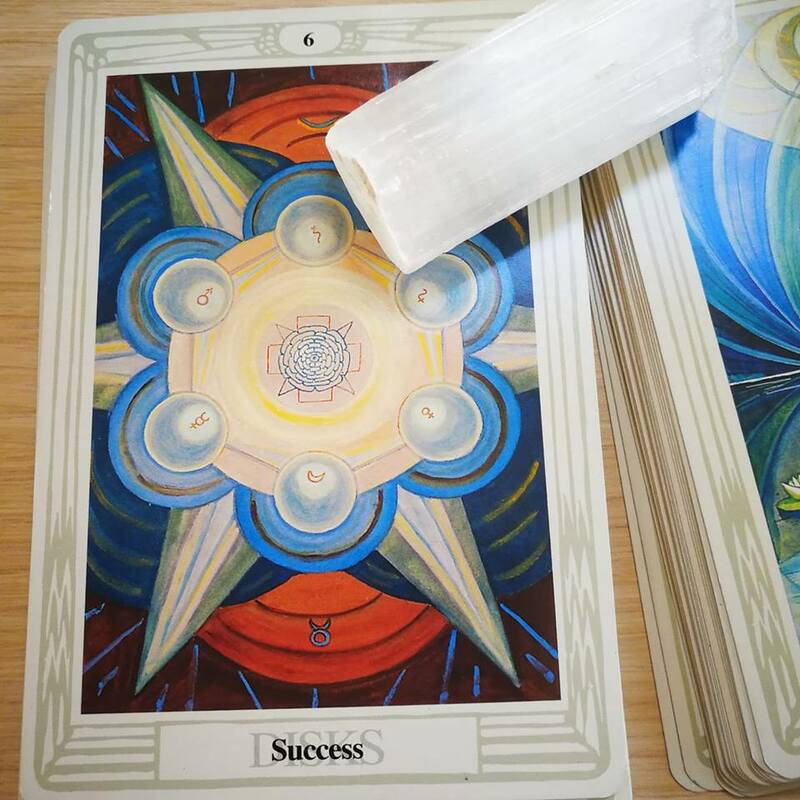 Disclosure Statement: A tarot professional cannot predict the future with certainty and you should not rely on a tarot reading to make any decision that would affect your legal, financial, or medical condition. If your inquiry involves the law, finance, or medicine, then you should seek the advice of a licensed or qualified legal, financial, or medical professional. Also, tarot reading cannot replace qualified mental health care. A tarot reading can only facilitate how you cope spiritually with a given situation. In certain jurisdictions, a tarot professional is required to disclose to you that tarot readings should be for entertainment purposes only, and if such a law applies to your reading, then you are hereby on notice thereof. Your tarot professional is bound by a self-imposed code of ethics, which can be provided to you upon request. Small balls. Your bodyweight. As easy a a foam roller but oh soooooo much better.Anytime, anywhere, there is a routine for what ails you. This revolutionary approach to health and fitness using 6-10 body balls designed exclusively for this practice. Yamuna Body Rolling (YBR) goes far beyond random movement and stretch , it allows you to work specific muscles in detail, to create suppleness in tight areas and optimize range of motion. Sessions are one hour. Chavutti Thirumal is the origin of Ashiatsu and dates back over 2000 years and originates amongst the Kalari Martial Artists of Kerala on the southern coast of India. The technique was developed for maintaining suppleness in the body and for treating pain and swelling caused by combat. Warrior or not, this massage style is equallly suitable for everyone, even if you're not involved in regular exercise. This massage is done by using the feet to deliver long sweeping , therapeutic motions. The difference between this and Ashiatsu is that the client lies on the floor instead of a massage table. Pressure slowly builds over the treatment and gives you the feeling of being ironed out. You will feel energized but completely relaxed. In the tradition of this massage, this work is unclothed and undraped. Thong underwear is provided. Please allow 2 hours for this treatment. If you are a deep tissue fan, this is the creme de la creme of Deep massage . Intensely deep and therapeutic , "really get's in there" without the pain sometimes experienced with deep work. Ashiatsu movements help to elongate the spine, dramatically stretching the shortened muscles, relieving any discomfort. Because of the compression,these strokes also help the body release toxins at a very high rate. After a few treatments, Ashiatsu will help improve your posture & movement, will help to relieve chronic pain, improve bodily functions .